Despite the strength of local public feeling about the abandonment of the Orihuela Costa by the current Orihuela government, and in particular the delays that are being experienced with the construction of the long-promised Emergency Centre, the turnout at the Playa Flamenca Town Hall on Tuesday, where Nicola Faucett, the mother of 9 year old Kai Fawcett-Bradshaw handed in a petition was extremely disappointing. Kai, of course, was the young boy who recently lost his life on La Zenia beach, after a freak accident while playing beach football, where the ambulance service took 40 minutes to arrive at the scene, having travelled from a hospital located 35 kilometres away. 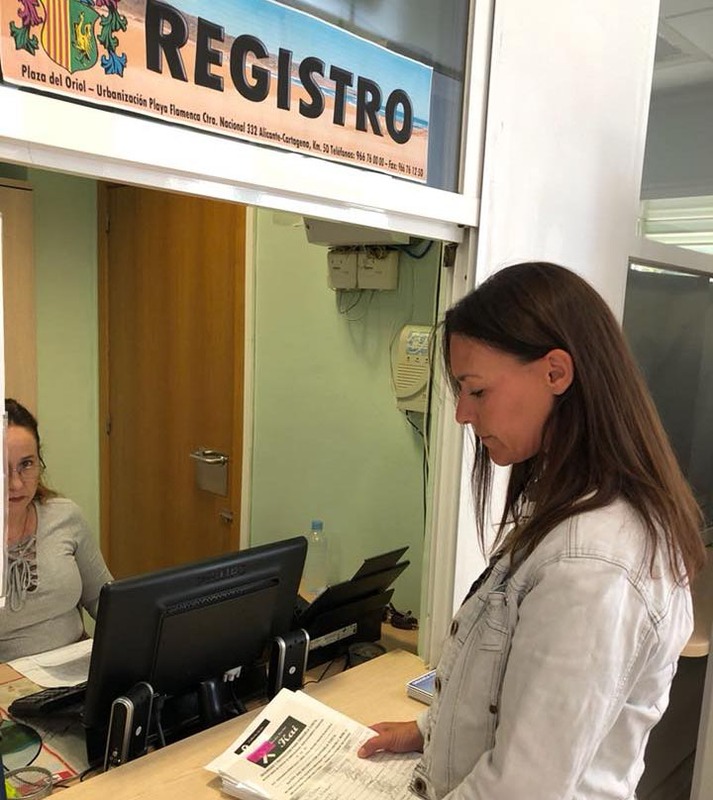 The petition of over 2,200 signatures, gathered from Orihuela Costa residents, calls for the completion of the Emergency Services Centre located directly in La Zenia. To date it has taken more than 9 years to get to the stage where we are, and despite pitiful promise after promise by our local politicians, it is still not built…and at the cost of a young life and many more preventable deaths. Joining Kai’s mother Niki was the President of the La Zenia Residents Association, Felix Arenas, together with current and past leaders of C.L.A.R.O, Roman Jiménez, Paul Piccio and Bob Houliston. C.L.A.R.O & many other associations, groups, charities and individuals have long demanded the urgent completion of this critical installation. Although the Director General of Emergencies, José María Ángel Batalla, and the Orihuela mayor, Emilio Bascuñana, announced in December that the project would be a reality by mid-2019, once work was able to resume, many people in the Orihuela Costa say they have stopped being optimistic and they believe little of what the government promises.